Several years after the beginning of Stovall Life Science in 1989, we adopted the slogan "Pragmatic Tools for Able Minds" as the summary of the company’s mission and guide for all products created for molecular and cell biologists. This slogan even informs our promotional giveaways -merging the useful with the ornamental - for scientific meetings and product fairs. This guide also reflects in an unusual way the relation Stovall has with its able minded customers. From the beginning through the present day Stovall has depended upon customers for many ideas which became products. The Belly Dancer® and its family of products (Belly Button® & Belly Bath) was developed by a scientist at the University of Virginia; the Flow Cell products originated at the University of Tennessee; the Hi/Lo Profile Rocker came from the University of California; the automated Western Blot apparatus had its beginning at Vanderbilt University. The bench scientist addresses daily the difficulties and impediments to efficient and effective laboratory tools. Some scientists have a practical imagination to address these impediments with pragmatic ideas. 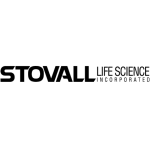 Stovall Life Science looks to those imaginative scientists for new products, those pragmatic tools which come from able minds. Twenty years ago the graduate students at The University of Virginia beta site observed an oddly behaving bench top shaker whose platform undulated in three dimensions rather than the usual two dimensions of other lab shakers. The students spontaneously baptized this shaker The Belly Dancer® and it has been so known ever since. A few years ago a Japanese shaker manufacturer described in brochures the movement of one of its instruments as having "a Belly Dancer motion," thus confirming that the combination of student intuition and Stovall marketing had contributed a new phrase to the scientific lexicon, and one not reduced to an acronym.